Peel 1 strip of cucumber to garnish the cocktail (if desired). Using a Microplane, grate 2-3 inches of the cucumber, skin and all, into a bowl. Squeeze the grated cucumber (with your clean hands) over a glass, and you’ll get at least a couple ounces of vibrant green cucumber juice. Fill a cocktail shaker with ice, and add the sake, vodka, lemon juice and cucumber juice. Shake vigorously. 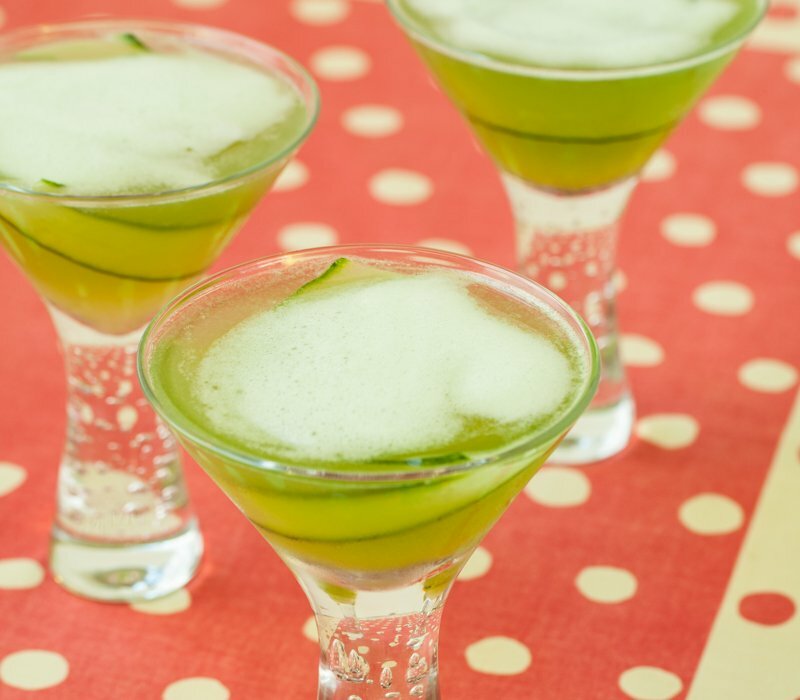 Strain into your garnished martini glass.